Key player in the yachting industry, Master Yachts is renowned for its highly ethical, no-nonsense and pragmatic approach to Yacht management. Independence, transparency and integrity are qualities for which Master Yachts is well known, inspiring confidence in Owners, Captains and industry partners. 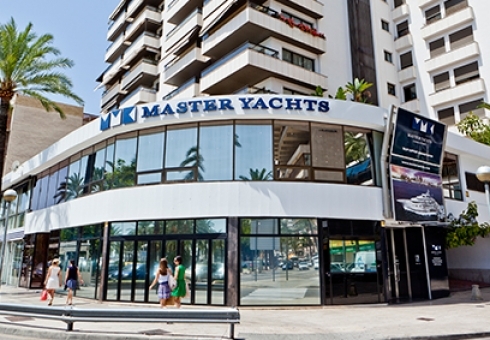 Set up in 2002, Master Yachts acts for and on behalf of owners, managers, captains and crew. For both pleasure and commercial yachts, Master Yachts provides management and supervision services in build, refit and operations. Master Yachts is one of the few management companies that stays away from brokerage or charter brokerage, allowing us to keep an independent approach in our actions and decisions. Master Yachts consists of a team of qualified and experienced masters, engineers, naval architects, surveyors, and project managers supported by accounts and crew administration personnel. We operate from our main office in Palma de Mallorca (Spain). We also have an office in Antibes (France) and a secondary base near Viareggio (Italy).